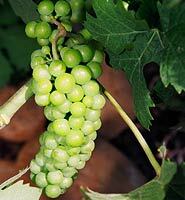 This grape variety from the South of France is used to make dry white wines and rosés. This variety was known at the oldest Antiquity. It was called Anathelicon moschaton in Greece and Apianae in Italy. Greeks and Romans brought it to France by the Narbonnaise way. It reaches its best quality when it grows on pebbly hill sides, rich in clay. This is an “early” grape that is harvested in Roussillon between the 15th of August and the first days of September. As it's full of fragrances, it is usually used for Vins Doux Naturels. It’s very popular in Spain, especially in Valencia, Alicante, Malaga and in the Canarian Islands. One of the most widely planted in the World . It is suited to a large variety of soils and climates, but its early ripe makes it vulnerable to spring frosts. 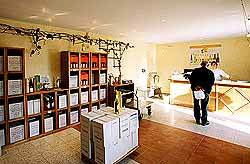 Because of the nature of the rootstock, the wine grower has to restrain his production to maintain quality. 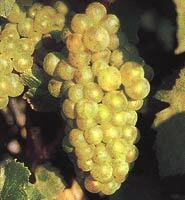 Chardonnay is however relatively easy to convert into wine. At its best , it achieves the depth of flavour, structure and staying power for exceptional whites. However, The flavour of Chardonnay wines is still in relation with the terroir, the climate and the winegrower’s know-how. Balanced and fat, Chardonnay has an extraordinary finish. The vineyards of our cooperative, Muscat de Lunel Vignerons, are cultivated on terraces full of alluvial deposits, that have been formed at the beginning of the Quaternary about 1,5 to 3 millions years ago. During this era and before the formation of Rhone‘s delta, Durance and Rhone, both violent rivers, deposited on the plain a lot of pebbles brought from the Alps. Those grounds are now called terraces « fluviatiles villafranchiennes » (Alpin Diluvium). Afterwards, horizontal strata at various depth levels have been composed of very fine elements’s deposit and of crushed pebbles brought by rain waters. 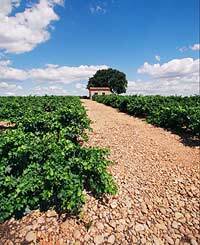 Today, it results from it a granular ground with gravel and pebbles that cover at the top of terraces the largest part of the soil. 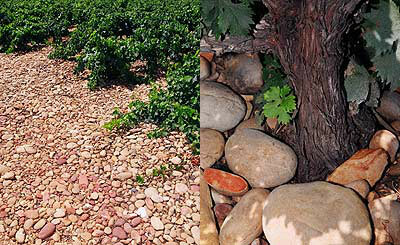 Vine roots’s cultivation is really influenced by the texture of the strata, its density and its clay contents. This "villafranchien" area extends from 20 to 60 metres above the sea. Rain waters allow this soils to a deep implanting and supply water during all the dry season.